You have two main options for developing an e-learning course. The first is to do it in-house and the second is to outsource development to a specialist provider. In almost all situations, outsourcing e-learning development is usually the best option. It is even advantageous to go a stage further to outsource to a local e-learning provider in Dubai or wherever else you are in the Gulf region. 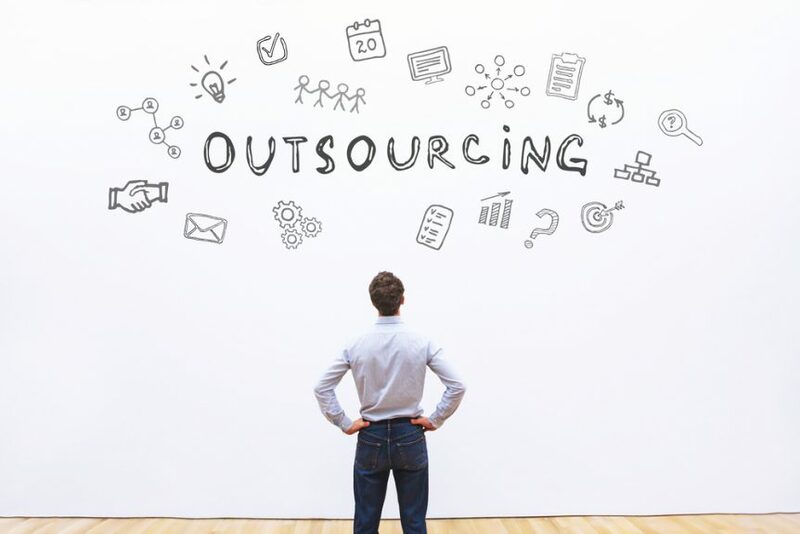 Doing so can overcome the hesitation that some organisations have when considering outsourcing, i.e. that the third-party provider won’t fully understand the company, products, local market, etc. Generally speaking, though, why is it better to outsource e-learning development? Here are nine benefits of using a specialist e-learning provider to develop your e-learning courses. E-learning development is similar to other development projects like app development and website development. Providing your organisation is large enough, it is possible to recruit and retain an in-house development team. You always get a better result from third-party providers, however, particularly if they understand your business and your target market. Just as this applies to website and app development, it applies to e-learning development too – you will get a better course when you outsource. One of the main reasons for the above point is you will get access to a much wider range of skills and knowledge when you use a specialist third-party provider. This includes knowledge of good and bad practices in the industry, as well as direct experience of creating e-learning courses for other organisations. You will also get a much broader range of skills from a specialist e-learning developer. This includes technical skills such as programming, creative skills such as graphic design, and training skills, particularly in relation to understanding the best techniques to help learners grasp and then retain new information. Following on from the last point, having access to a wider range of skills gives you the opportunity to increase the scope of your e-learning course. For example, it will probably be easier to localise the course for different languages and regions around the world. You will also have the option of adding bespoke features that would be difficult to add with the more limited resources of an in-house team. An example of this is gamification elements. Training helps your business remain competitive, compliant, and profitable. Training also helps to prepare your business for future opportunities and/or challenges. While training is important to your business, however, you are not in the business of training. Therefore, outsourcing e-learning development lets you focus your resources on other areas of your business. This increases productivity. As with all technology, problems can occur. This includes coding errors, content breaking because of app updates, device compatibility issues, and more. When you develop your e-learning course in-house, you are responsible for all these risks. When you outsource e-learning development, however, most, if not all, these risks transfer to the third-party provider. Plus, as the third-party provider is more involved in the e-learning industry, they will have procedures in place to ensure you avoid risks. An example is planning for software updates in advance to prevent errors from occurring. You will probably also find a third-party e-learning course developer will finish faster. One of the main reasons for this is outlined in one of the points above – specialist developers have access to a wider range of skills and knowledge, whereas an in-house team might need to recruit or spend time upskilling. As a result of many of the points above, outsourcing e-learning development is less costly, particularly when you view the investment over the medium and long-term. When you do, you will see higher rates of return. Specialist developers will also have tried-and-tested procedures in place to scale the development, distribution, and scope of your e-learning courses according to the needs of the business. In fact, for many e-learning developers, scalability is a key selling tool. Finally, you or your senior management team will spend less time managing the process when you outsource development to a specialist e-learning provider. In fact, the process will become like any other contractor/supplier partnership/relationship where you have key milestones, targets, SLAs, and levels of expectations This is a much easier process than managing internal teams. Outsourcing e-learning development is a suitable approach regardless of the size of your organisation, including if you are a multi-national with a significant employee base and multiple business units. The level of expertise and knowledge you will get from a third-party provider will ensure you get the best possible course.